So it was the Spring Equinox the other week and spring is springing, but remember, not everything in nature is beautiful and safe. Hidden dangers lurk everywhere, especially for your pets. And as it's almost Easter, here are things you should bear in mind if you haven't already to keep your cat safe at this time of the year. Indeed, all year round! 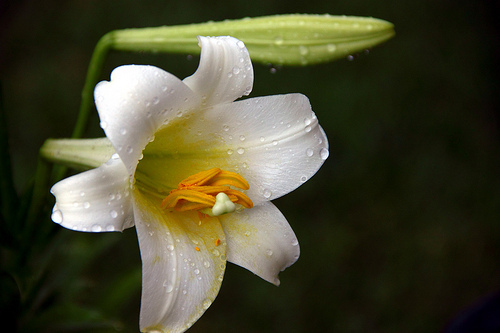 The Easter Lily, and indeed many types of lilies are deadly to cats.The first signs that your cat has been affected is vomiting and lethargy, and if left untreated, may progress to kidney (renal) failure and death. Please call your veterinarian immediately if you suspect that your cat has eaten any part of a lily plant. Even pollen can be ingested while the cat is grooming himself. 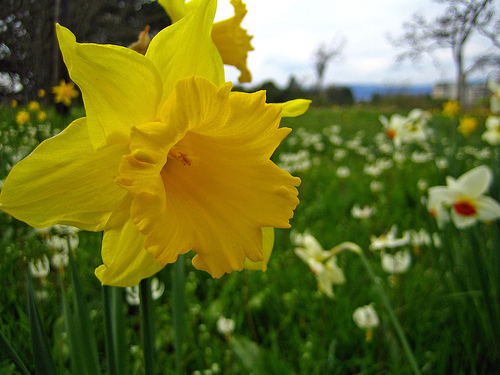 Another spring flower, the daffodil, is also toxic to cats. Even tiny amounts of this plant and flower are highly toxic if ingested. All parts of this flower can be toxic so beware. Also, the pollen gets everywhere and so a cat can ingest it when they groom themselves. Again, the first signs your cat may have been affected is vomiting, lethargy, loss of appetite, tremors and seizures. Signs usually develop 6-12 hours after ingestion. Kidney failure occurs as early as 36-72 after ingestion. Most fertilizers contain nitrogen, phosphorus and potassium, and may also many other toxins that are dangerous to our pets. Then there are the pesticides and fungicides, etc. Please be careful when using these. There is a list of all outdoor dangers for cats and dogs at the Pet Poison Helpline website. If you think your pet has been exposed to fertilizer call your veterinarian or the Pet Poison Helpline immediately. For more information visit the Pet Poisons website. A larger dose may cause coma or death. Contact your vet immediately if your cat shows any of these signs or if you suspect your cat has eaten chocolate. Thank you for these reminders Marie. I used to have an Easter Lily on the table annually but since Amelia refuses to accept that cats are not allowed on the table, I just make a pretty basket centerpiece. My human keeps all these things away from us kitties! Lilies - nearly all flowers except roses and daisies in fact - aren't even allowed in the house. A pretty basket sounds like a great idea! We try not to allow any plants or flowers in the house these days. Yes, same here, Summer. It's scary, isn't it? But I wonder about those outdoor kitties. I suppose they know what's harmful by instinct. We cats are highly intelligent after all. All good advice. 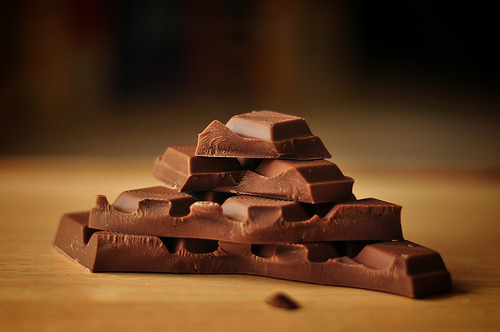 We rarely have chocolate in the house, but we keep it well hidden, as it is toxic to dogs and cats. As for flowers? We keep them outside. Yes, any chocolate that I have in the house is well hidden from Athena. I love this article. It is very informative, and a great reminder with Easter around the corner. Thanks! Athena, you are beautiful as always :) The spring colors really bring out your eyes. Thank you for the reminder about spring dangers. I would hate for any kitty to get poisoned this spring. Good safety tips, Athena and Mum! 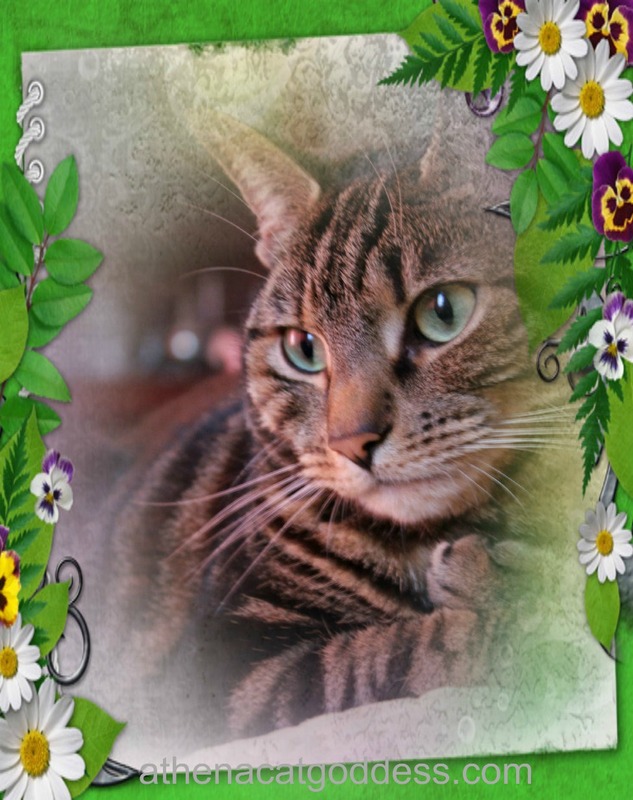 Easter can be a great time of celebration, but the humans have to be careful around us cats! I didn't either. Very scary. Thank you. Yes, it's such a worry. Thank you. Green is a lovely spring colour.